Egyptian archaeologists made yet another discovery this year. 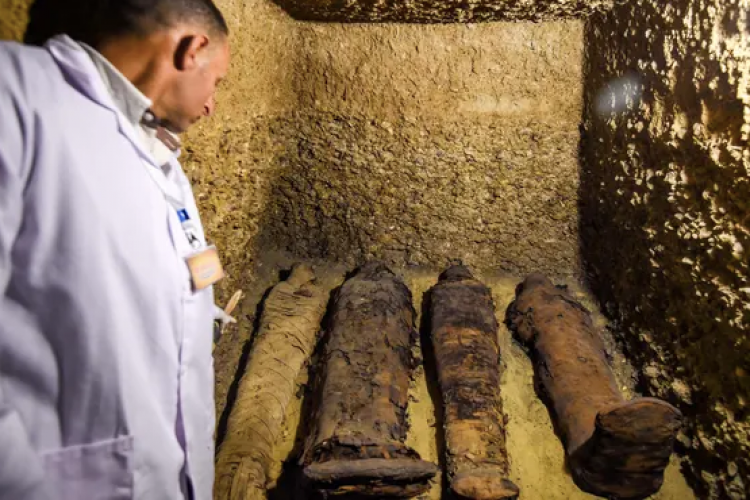 They discovered a Pharaonic tomb that consisted of 50 mummies inside a four, 9-metre deep burial chambers in the Tuna el-Gebel archaeological site. Out of the 50, 12 mummies were of children. These mummies date back to the Ptolemaic era in Minya, south of Cairo. Ambassadors from different countries gathered to see the exhibited mummies.